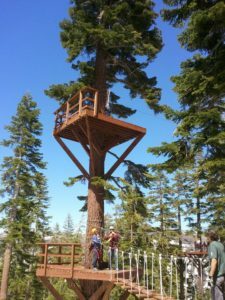 A special section within the standards address Canopy / Zip Line Tours and outlines installation, operation, safety equipment and other standards to regulate this emergent industry. Having been first published in 2002 / 2003, updates have been published in May 2005 and September 2008. In March 2014 the American National Standards Institute (ANSI) designated the ANSI/PRCA 1.0-.3-2014 as the American National Safety Standards for the challenge course industry including aerial adventure parks, zip lines and canopy tours. These standards have become the source of information for court cases, insurance companies, operators, travelers, and the cruise ship industry to name a few. Currently, the PRCA is a leading voice for the industry and welcomes participation from the industry worldwide.